Minecraft is a game that has nothing to do with songs and dances. The action in it is rather monotonous. 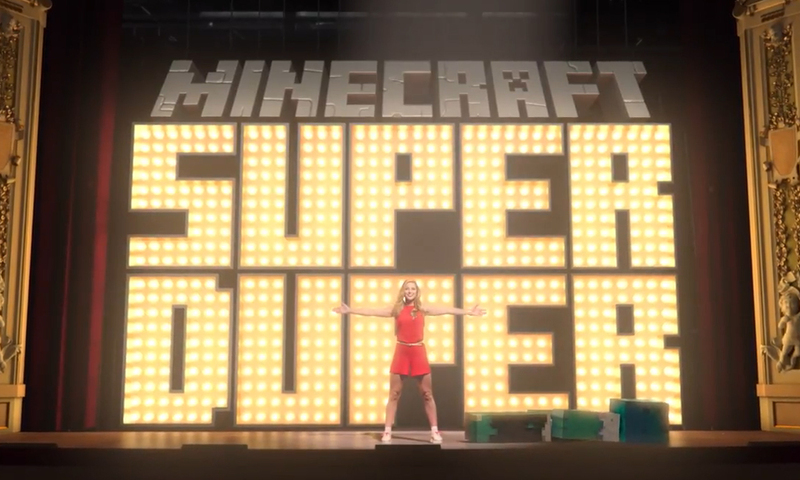 But to advertise a new graphic update, which is called Super Duper Graphics Pack and that will be released in 2018, was made a very beautiful music commercial. It was called Super Duper Musical. The main role was played by the actress Melissa Benoist, who is familiar to many as Supergirl. So, Super Duper Graphics Pack is essentially the first major update of graphics for 8 years of the Minecraft. There will be dynamic shadows, lighting that breaks through the fog, moves in leaves and grass, new textures for mobs and settlers, directional lighting, there will be dolphins, corals and much more. In addition, the game will receive support for screens with a resolution of 4K. And already in 2019 we will see a cartoon based on the game. No details about it yet. So we do not know how if it will be super duper, but we look forward to it.